The first thing to consider with any footwear, including sport shoes, is comfort. If are wearing a shoe that is not comfortable, there is no point in even wearing it. Just toss it out because you may even get blisters, have balance problems and the overall discomfort are the result of poorly fitting shoes. You will suffer in the long term. Just because you are looking for a new pair of sport shoes, there’s no reason to go bankrupt. Quality sport shoes can be comfortable and affordable at the same time. 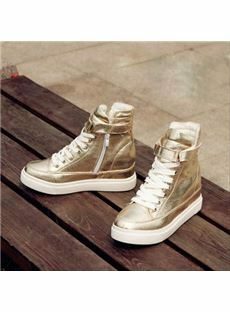 Have a look at some of the below shoes and I’m sure you will find some at an affordable price. A good pair of shoes must be able to withstand some wear and tear and various weather conditions including rain. The worst thing to have in a rain storm is leaky shoes, which is why durability is part of a any quality pair of sport shoes. Everyone wants a shoe that looks good, which is why design is very important. The design is what makes the wearer feel good about themselves and what they are wearing. Colour, shape, brand and features is what makes a sports shoe stand out. One of the most important factors of shoe selection is versatility. Will the shoes work with your daily exercise regimen and look equally snazzy with your favorite pair of jeans? Sport shoes are a terrific compliment to blue jeans for a classic look. Every good sport shoe has support. It should cradle your foot and make it feel as if every step is one of leisure. Support is very important, especially if you are involved in a lot of walking or running. In either of these instances, your feet really take a pounding on the pavement. Sport shoes that feature enough cushioning and support are noticeable immediately for the wearer. Always purchase from a reputable, authorised sport shoe retailer. Either online or in a store. 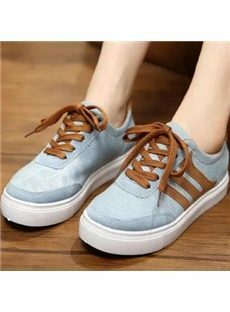 Have a look at some of the shoes we are promoting because there are a lot of imitation products out there, including clothing and footwear. Our retainers guarantee that they are legimate and not fakes. Buying from an authorised retailer will eliminate the chances of buying fake merchandise. 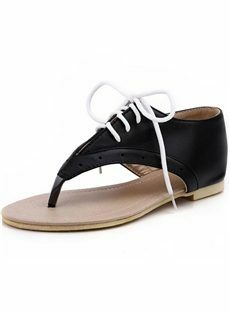 If you are purchasing online you can always go into a retail store and find out what your shoe size is then go back here at the Fashion 4 Shoes website and buy it online. When you are there trying them on, take a few steps and move your foot around inside the shoe. In making sure that you have ease of movement and a proper fit, you will be much happier. With these tips, make sure the sport shoe fits with your lifestyle. Avoid purchasing anything that doesn’t really fit your personality or feet. Athletic shoes are designed to work with you and your level of activity.